With a less-than-healthy intestine, there is loss of tight cellular junctions, allowing toxins and food proteins to be exposed to blood, leading to immune activation in susceptible individuals. Dr. B described inflammatory reactions in the gut and brain of patients with ASD. Eventually, behaviors, not merely mucus membranes, are affected. The presentation concluded with the case of an ‘allergy kid’ – a patient affected with autism who significantly improved with an aggressive workup and treatment of the patient’s immune system. …As always, a thorough, interesting and pertinent literature review. Supplements for allergies, which appear commonly in ASD patients, were reviewed. Seasonal behavioral regressions could be a clue to an environmental (over) reaction. Dr. R discussed naturopathic supplements, many of which demonstrate equal improvement to the traditional anti-allergy meds. The question to be answered, “Is a Subtype of Autism an Allergy of the Brain?” Dr. Theo showed that activation of specialized cells (mast cells), could occur in the absence of allergens (including stress, organisms, etc.). He helped discover that the manner in which the mechanism works is much more complicated than previously thought, and how that process leads to inflammation. Further evidence was presented that allergic diseases have influence on ADHD and ASD. Mast cells exist in the lining of the brain, and what happens when they are activated could lead to symptoms. He concluded with a therapy that decreases mast cell activation (Neuroprotek, officially not mentioned by name). Oh well, he says any profit goes to charity, and I believe him. I saw a presentation by this allergist ~ 6 years ago, and his philosophy really set the stage for how I think about ASD. Dr. Anju Usman – Low Dose Antigen therapy, also known as Ultra Low Dose Enzyme Activated Immunotherapy. This is a broad-based treatment that is meant to desensitize to allergens (a bit differently than Dr. Elice’s protocol). Dr. Usman talked about environmental pollutants such as inhalants, products, chemicals and bacteria as well as food allergies. She described a couple of patients in whom this type of treatment improved skin, G-I, and some behavioral signs and symptoms. This learned child neurologist described the recent good news about successful treatment with NAC. The preparation is utilized in mitochondria, requires energy, and detoxifies. He described the ability to detect the subsequently derived protein, glutathione, in autistic brains, especially in those areas that seem to be functioning incorrectly in ASD. This reaction is helped by folinic acid and B12. I questioned Dr. Frye about the use of glutathione itself (instead of its precursor), such as that which we use at The Child Development Center. His response was that he wondered whether or not balance is achieved with an oral glutathione. Is that all, doc? Well, he helped me with some other patients. This was a review of the 2013 literature about ASD. First, there was a discussion about the new DSM-5 definitions, which may change the reported incidence of autism. Then, Dr. Dan gave his signature rapid-fire, research-paper-a-minute (literally, 39 papers reviewed in 45 minutes), insightful, clinically useful, understanding of that research. Acceptance by the AAP and the traditional medical community is important because it will help patients. 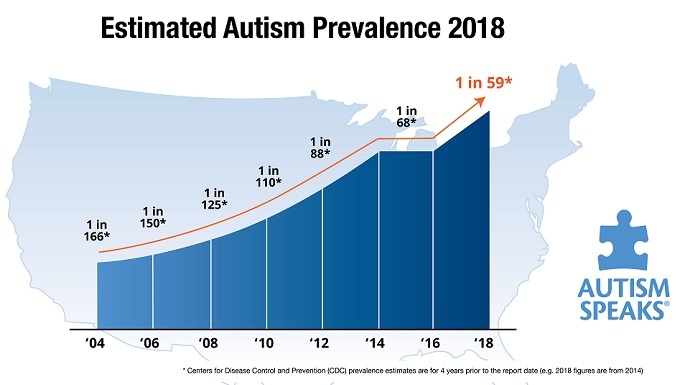 Doctors need to be more open-minded and respect our colleagues and the other professionals who are addressing the autism epidemic. The MAPS conference has gotten very green, btw. All of the material was downloaded from the Internet, saving lots of trees (hundreds and hundreds of pages provided to ~120 participants). This was a great conference with the most up-to-date scientific information provided by experts who are helping to recover many affected patients. Plus, there was lots of networking and brain-picking. Home, sweet Fort La-De-Dale. Starting Monday, more patients and a bit more wisdom. This entry was posted on Saturday, October 5th, 2013 at 6:33 pm	and is filed under >ALL<, AD/HD, Alternative and Complementary Medicine for ASD, Asperger's Syndrome, Autism Therapies, Chelation, Conferences, Diets, HBOT for ASD, News-Maybe-Worthy, Patient experiences, Reversing autism. You can follow any responses to this entry through the RSS 2.0 feed. You can leave a response, or trackback from your own site.